Kirsten Johnson has spent her life working on films. From working with Michael Moore on Fahrenheit 9/11 to CitizenFour, she's been a documentarian capturing moments of life within and committing them to screen. In Cameraperson, she's collected and strung together some of the scenes which she claims have most marked her and created a tapestry of lives, with loose threads that appear random but are cleverly interconnected. From the scenes of getting a newborn baby to breathe in Nigeria to getting a big baby boxer to breathe before exploding after losing a fight in New York, some of the threads are more obvious than others. From scenes of children playing in Bosnia with an axe after they return from ethnic cleansing fears to her own twins playing with the camera, these recoursive snapshots of life offer tempting insights into her world from the past 20 years. There's no timeline - and nor should there be; but what emerges is a deeply personal timeline of a life lived in the world, and of moments captured for posterity (or perhaps B-roll) that ultimately stand out. Themes of life, death and justice recur, a tacit admission that these themes are universal, but in the end, Cameraperson becomes a study of how to make documentaries and of the form itself. And yet at times, it feels like the scenes are tantalising glimpses into stories we want to know more of -specifically, the horror of the death of James Byrd Jr in Jasper New York, whose story is told briefly by scenes of attorneys being interviewed. Admittedly these films already exist, and it's perhaps more a testament to the powerful snippets of choice and admission that these have haunted her that they still feel so raw and numbing. 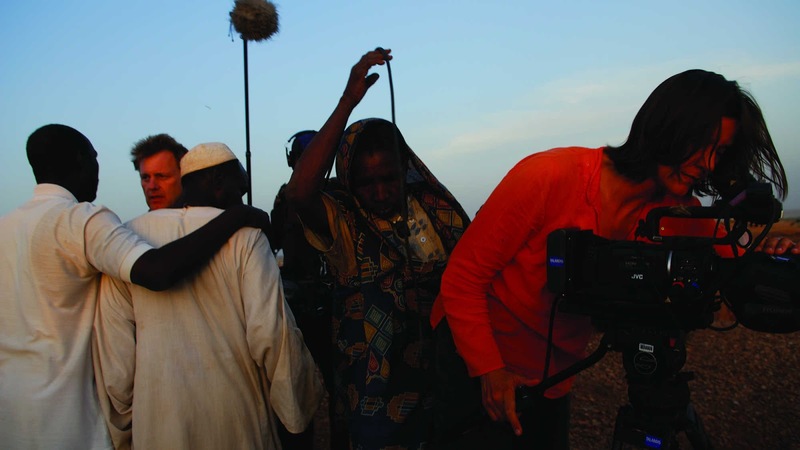 As the strands pull together and more personal moments are revealed, Cameraperson becomes a real salute to those who work in documentaries, whose cameras are an extension of their body, an extra limb to help them in the world. Cameraperson itself may be a humble title, and the images within may be humbling, but this prosaic documentary about the documentary form is nothing short of impressive.